At the beginning of the crisis we immediately purchased and distributed UNFPA’s trademark Dignity Kits, with simple yet crucial items like clean underwear, soap and sanitary napkins. For women moving their entire families across the border, the last thing they needed was to feel shame just for being women. So far, 114,000 Rohingya women have received these kits. Women Friendly Spaces are always a top priority for UNFPA in any disaster or conflict. 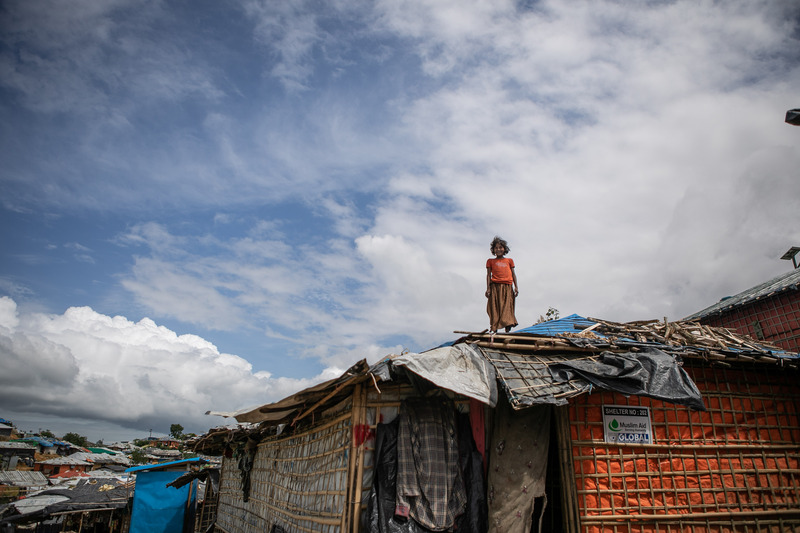 The Rohingya camps were erected in what used to be forest, and the buildings had to be constructed from scratch. 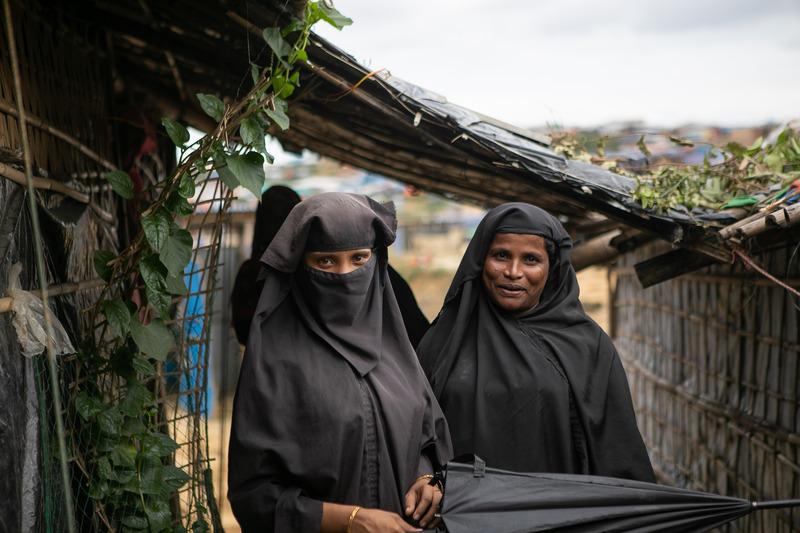 We built these safe spaces – which Rohingya refugees call “shanti khana” or “homes of peace” --to give all women a place to talk to one of our caseworkers, talk with other women, or just have some quiet time on their own. Our 20th Women Friendly Space in Cox’s Bazar District is almost complete, and hundreds of women use the spaces every single day. We brought in mental health and psychosocial support experts and gender experts when it was most crucial – both immediately after the crisis as well as later when post-traumatic stress flares up. These experts have now trained hundreds of caseworkers from Bangladesh, and within the Rohingya community itself, in mental health and psychosocial support services. Our local caseworkers have achieved the highest level of qualification possible without a formal tertiary degree. Our experts are always on hand to help with complicated cases. The system that was put in place early means that thousands of women have already begun to recover from trauma, and can look to the future and face its challenges better. 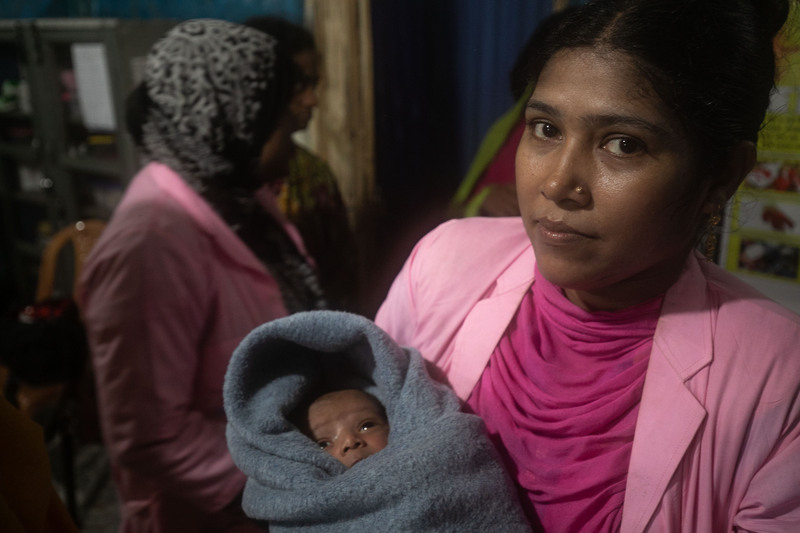 Of the 700,000 people who have arrived in Bangladesh since last August, almost 30,000 have been pregnant women. 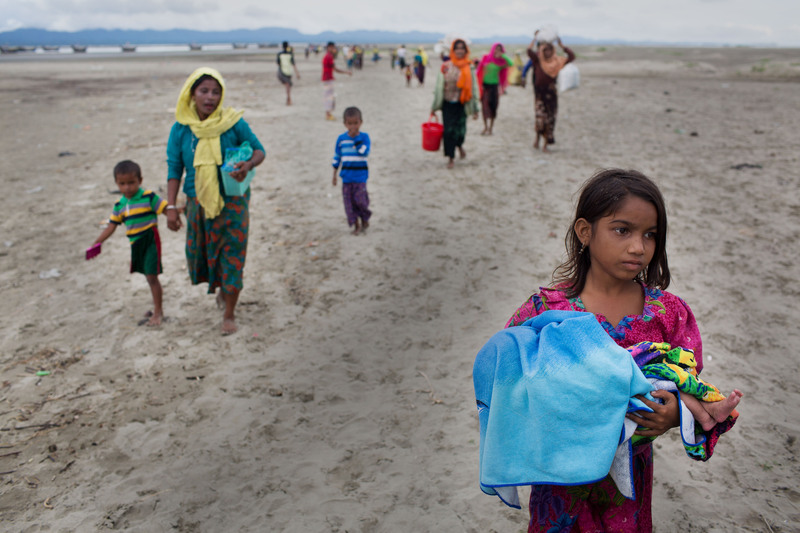 An entire generation has already been born in the world’s largest refugee camp. We’ve hired and deployed almost 100 trained midwives to make sure both mothers and babies would not just survive, but thrive. To date, almost 4,000 babies have been born in UNFPA-supported clean, safe, private facilities. Our midwives are our frontline workers, but they are supported by doctors, obstetricians and gynaecologists who perform emergency caesarians and advise on complicated cases. We’ve brought in pharmacists as well, to manage the huge volume of medicines that are needed. Our community volunteers, health workers, and psychosocial experts work with men as well to overcome long-held patriarchal attitudes that prevent their wives and daughters from exercising their rights. UNFPA is a rights-based agency, and informed choice is at the centre of all that we do. 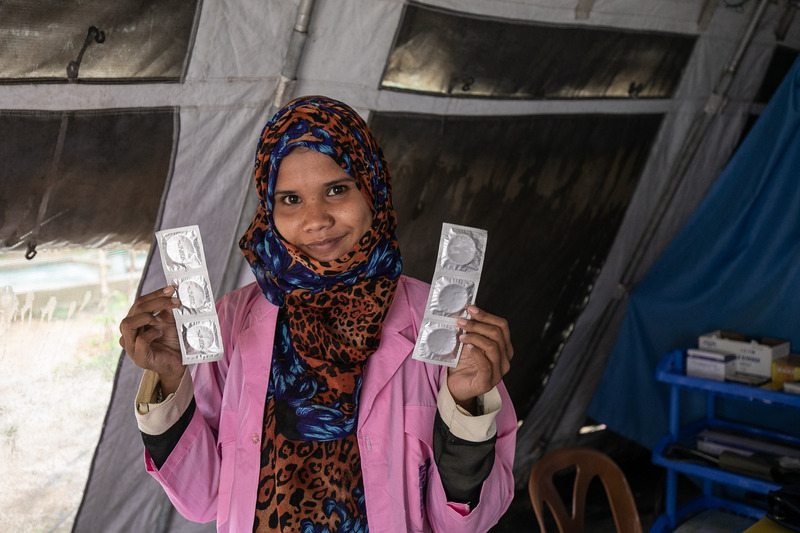 We offer a full range of contraception options to women in the camps as well as in the host community, including for new mothers. Each month more and more women are choosing to take contraceptive measures, and more and more men are supporting them in their choice.